If the second generation of AirPods seemed underwhelming, the new Powerbeats Pro by Beats might just get your blood moving. 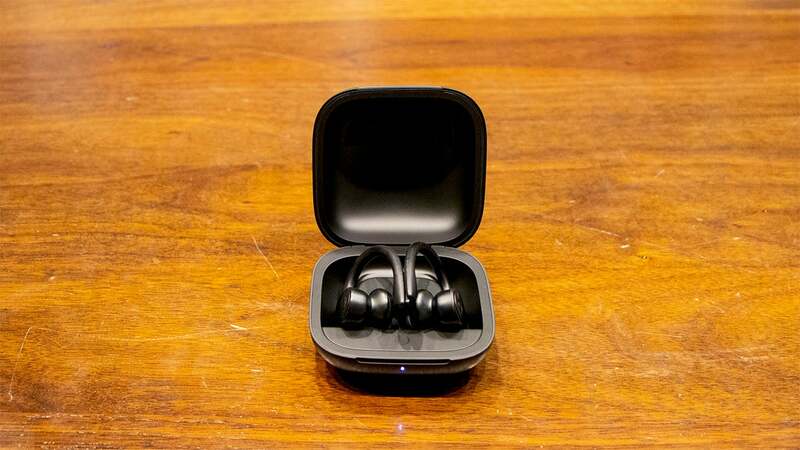 They’re truly wireless earbuds designed for sports and equipped with the new Apple-made H1 chip, superior sound quality, as well as an eye-popping nine hours of battery life. In other words, the Powerbeats Pro earbuds can do everything the new AirPods can—but better. I recently spent some time trying the Powerbeats Pro with some folks at Beats. They told me that the company wanted a completely untethered earbud for sports that also improved upon earlier Beats earbuds in every way. So the Powerbeats Pro are aren’t just a truly wireless version of the very popular Powerbeats 3 earbuds. They’re completely redesigned. Everything from the drivers to the batteries to the wireless guts is new and different. You can tell as soon as you put them on, too. To circle back to the AirPods example, the Powerbeats Pro work almost magically well with Apple devices. They turn on when you pull them out of the slightly bulky charging case and connect to your phone or watch or whatever as soon as you put them in your ears. (There’s a little optical sensor just like the one on AirPods, so the earbuds know if they’re in your ear or not.) You can pair the Powerbeats Pro to a new iOS device by opening the case close to the device and check the battery levels the same way. The Powerbeats Pro work as normal Bluetooth headphones with Android devices. Again, all of this connectivity is happening through Apple’s new H1 chip. That also means the Powerbeats Pro support the ability to talk for Siri. Always on beam-forming microphones let you say, “Siri, play the Alan Parsons Project on Apple Music,” while you’re running without touching anything. 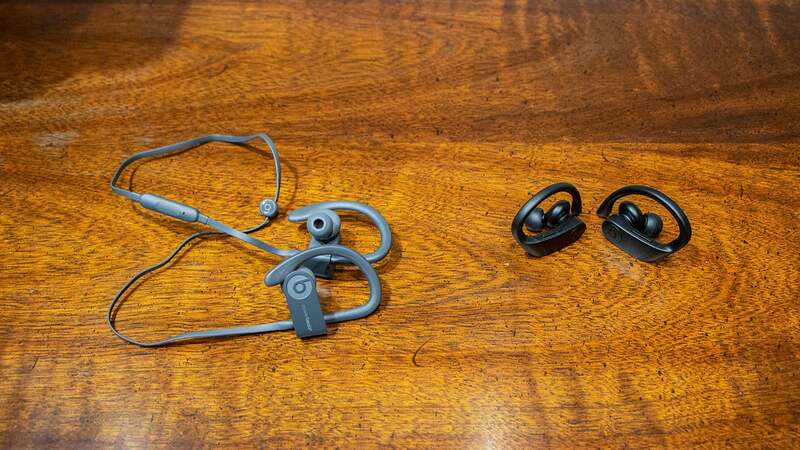 In theory, the microphones and better connectivity should also make the Powerbeats Pro earbuds great for phone calls. Not only are there two beam-forming microphones to pick up your voice, but there’s also a speech-detecting accelerometer that tracks your jaw movement and filters out background noise. The AirPods feature similar technology. The AirPods comparison sort of grinds to a halt when you look at the design and fit of the Powerbeats Pro. Whereas AirPods are earbuds for everyday life, the Powerbeats Pro are unapologetic in being ready for active lifestyles. They’re sweat-proof and waterproof, so you can take them to the gym. The signature ear hook design also makes them super stable on your ears, so you can wear them for wilder pursuits, like gymnastics. In addition to the fact they’re totally wire-free, the new Powerbeats Pro are also lighter and almost 25 per cent smaller than the Powerbeats3. I was frankly blown away by how the Powerbeats Pro sort of disappeared once I got them on my ears. That said, it takes some practice to get that ear hook positioned just right, but when I did, the new Powerbeats were confusingly comfortable. 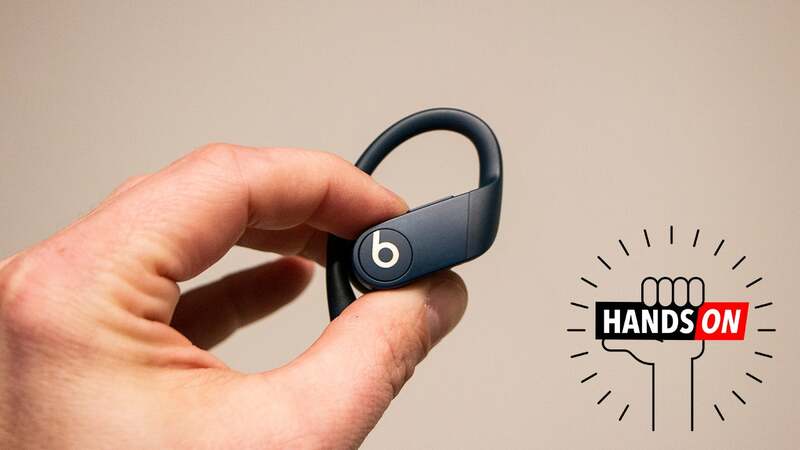 A great fit, clever features, and solid connectivity won’t matter if the Powerbeats Pro don’t sound great. In talking to the Beats team, they kept circling back to sound quality and emphasising how they really thought they’d gotten the acoustics right with clean, balanced and rich, deep bass. As someone who’s always been a little underwhelmed by Beats’ sound quality, I didn’t buy this. Then, I actually listened to music through the Powerbeats Pro. And damnit, they do sound great. “Guilty Party” by The National sounded wonderfully airy and big, and the bass line on “Get Lucky” by Daft Punk went perfectly low without losing its detail or texture. I only listened to about 10 songs in my hands on session, so I’ll reserve conclusions for a full review. But for now, I’m impressed. That’s the quick takeaway, in general. Here’s a new generation of Powerbeats, wireless headphones I’ve honestly never loved, that does everything AirPods does. But they’re also great for sports, and they sound fantastic in our initial testing. Oh and don’t forget: Beats says the Powerbeats Pro gets nine hours of battery life. That’s not with the case. That’s on a single charge. At nine hours, these things supposedly last almost twice as long as AirPods and just about every other set of truly wireless earbuds out there. I love the ambition. It will be a few weeks until we’re able to do a full review, and I’m excited to see how the Powerbeats Pro earbuds really perform. 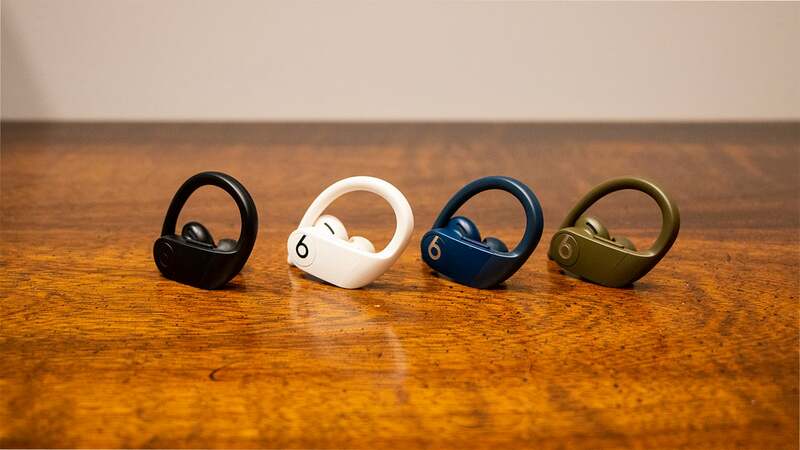 The Powerbeats Pro will come in four colours: black, white, navy, and moss. They’ll hit Apple Stores in May and will cost $US250 ($352). At that price, they’d better be beyond impressive.